Performance is always something you want to improve when building software. This week Shalvah helps us "Understanding Throttling and Debouncing" so that we can use these techniques to improve applications performance. It's always a pleasure to read great articles by Eric Elliott. This week you can enjoy learning about "Lenses", Composable Getters and Setters for Functional Programming. It's almost 2019 and there are some amazing things coming down the pipeline in the world of programming. But for many new developers the prospect of jumping into a career in coding can be intimidating. There are so many technologies to learn and so many languages to choose from. This is a pen that's been on my mind for a long time, ever since I started following the work of Anders Hoff that deals with natural growth patterns and emergent structures. I was fascinated by how ordered structures and interesting patterns emerge when simulating simple physical and biological rules. When building an application, we often face problems with external APIs. One has simple methods, other has them very complicated. Unifying them under one common interface is one of uses of the facade pattern. Let's imagine we're building an application that displays information about movies, TV shows, music and books. Today we cover an essential part of almost every application: registering users and authenticating them. 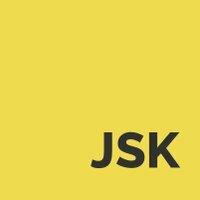 To implement it, we use JSON Web Tokens (JWT). Instead of getting help from libraries like Passport, we build everything from the ground up to get the best understanding of how it works. Ben Nadel explores the use of Directives in Angular 7.1.4 in order to implement a "hesitate" event. This event will be triggered when the user hovers into a given target and then leaves the mouse there for a configurable amount of time without clicking or leaving. Angular 7 Drag and Drop Tutorial With Example is today's leading topic. We will use Angular 7 and Angular Material 7 for this example. Angular Material is the ground running with significant, modern UI components. Get real time updates directly on you device, subscribe now. Angular 7 Pipes Tutorial With Example is today's leading topic. Angular pipes are the way to write display-value transformations that you can declare in your HTML component. Angular Pipes were earlier called filters in AngularJS and called pipes from Angular 2 onwards. How to build a slider to change the size of a ball and then test it with react-testing-library. I'm sure you have heard of React Hooks by now unless you were living under a rock. They have taken the React world by storm because they offer very simple and powerful primitives for adding state and lifecycle to React functional components. React 16 has a forwardRef function. The function creates a new component with its ref attached to one of the child component. Why is this a big deal? In React, key and ref are special props which are not part of this.props within the component. I will explain this with a little bit of code. A feature-rich dual listbox for React. Install the library using your favorite dependency manager: yarn add react-dual-listbox Using npm: npm install react-dual-listbox --save Note - This library makes use of Font Awesome styles and expects them to be loaded in the browser. Today, I'm pleased to introduce you to Daryl Cober, a member of the Aurelia community who has been building out "Smoke House Project", a skeleton framework for desktop/web/mobile deployment using Aurelia, including a node Web API and a MongoDB. I'll let him share more about what he's working on and his journey to get there. Welcome to the first part of the series about "Vue - Going Serverless with Firebase". Some time ago not many people would have thought you could create a whole application without having your own server and back-end architecture. However, today it is a reality, and, as an example, we will use Firebase. DigitalOcean The Docker platform allows developers to package and run applications as containers. A container is an isolated process that runs on a shared operating system, offering a lighter weight alternative to virtual machines. Though containers are not new, they offer benefits - including process isolation and environment standardization - that are growing in importance as more developers use distributed application architectures. Back in January we started work on the 1.0 release, taking the opportunity to upgrade to Babel 7 and follow its beta releases. It's been a year where we made massive improvements to AVA. It's also been a year with many exciting events in our personal lives. Website speed is a vital metric for user experience and SEO. This tutorial explains how to use webpack dynamic imports to make your application faster. Team XenoX Over the last few years, Visual Studio Code has grown very popular over the open-source IDE market. VS Code was publicly released in 2015 and now used by 35% of all developers according to 2018 Stack Overflow survey. It is basically a query language for API's GraphQL shows what are the different types of data provided by the server and then the client can pick exactly what it wants. Also in GraphQL you can get multiple server resources in One call rather than making multiple REST API calls. Sending SMS is one of the essential features for any app's backend. I've recently started working on an app and I needed an SMS service to send transactional SMS After some research, I found Textlocal to be a viable option with decent pricing, automated campaigns, automated reports, and good support. Arrays without holes tend to be faster and more compact, because engines can internally store them contiguously. If you add a hole to an Array, the internal representation has to be switched to a dictionary. In some engines, such as V8, the resulting performance deoptimization is permanent - you can't go back to a contiguous representation.